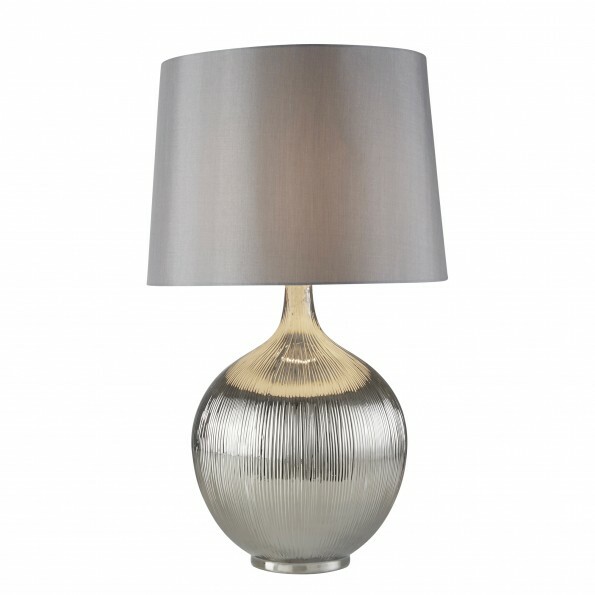 Add a luxurious feel to compliment a modern home with this chic chrome table lamp. The shining silver shade contrasts against chrome ridged base. Place next to a sofa and brighten your living room as your unwind whilst watching a film.